Regulators stressed it’s not yet clear whether vaping is responsible. But they said they’re concerned and encouraged the public to report information about the issue. Cases go back to 2010 and were reported to the FDA or poison control centres around the country. 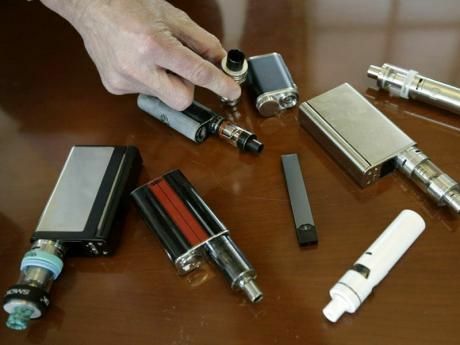 While they represent a tiny fraction of Americans who have used e-cigarettes, many safety issues with foods, supplements and other consumer products can go unrecognised because reporting is voluntary. Most e-cigarettes heat a flavoured nicotine solution into an inhalable vapour. The battery-powered devices have grown into a multimillion dollar industry though there are few standards, including how much nicotine they deliver. Additionally, many refillable e-cigarettes can be used with nicotine formulas of varying strength. Nicotine poisoning can cause seizures, convulsions, vomiting and brain injury. The FDA has previously warned of potentially fatal nicotine poisoning in infants and children who accidentally swallowed nicotine solutions.